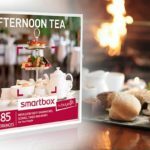 This Afternoon Tea with Bubbles Smartbox from Buyagift has to be the perfect gift for someone who is an avid fan of afternoon tea. This beautiful bound guide is bursting with fantastic afternoon tea experiences for two across the UK. 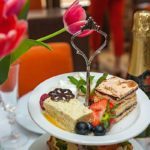 Boasting 250 venues the lucky recipient and a friend can browse the book at their leisure, select their afternoon tea and venue of choice and book their afternoon tea experience at a date and time that’s convenient to them. 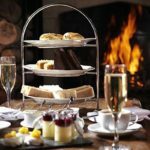 From London’s vibrant city venues to seaside retreats or cosy inns sprinkled across the UK, there are venues and afternoon tea styles to suit everyone. 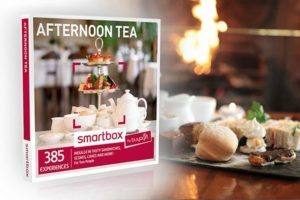 Have a flick through the pages of this Afternoon Tea with Bubbles Smartbox . 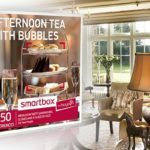 . .
We have a fantastic competition to win this super afternoon tea for two with bubbles Smartbox. 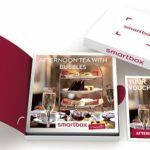 You can enter our Smartbox competition here . . . 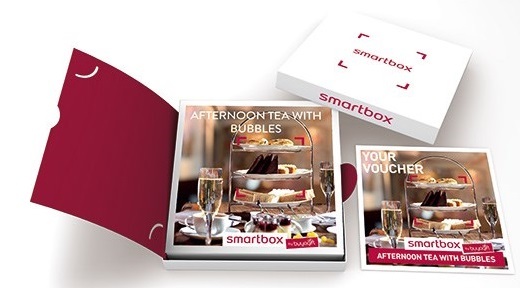 This Afternoon Tea for Two with Bubbles Smartbox would be a lovely gift for someone special. Perfect for a birthday gift, a thank you or a pick pick-me-up for someone to look forward to a relaxing afternoon with a friend. The afternoon tea experience is for two people. Available exclusively from Buyagift, it is priced at £49.99. What a fantastic afternoon tea deal. To buy the Afternoon Tea with Bubbles Smartbox, simply select the Book Now button below.